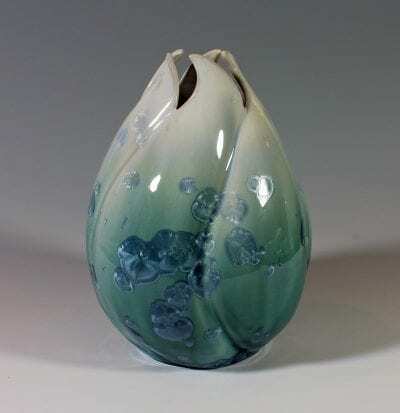 Becoming a crystalline glaze potter started for me in Junior College when I took my first ceramics class. 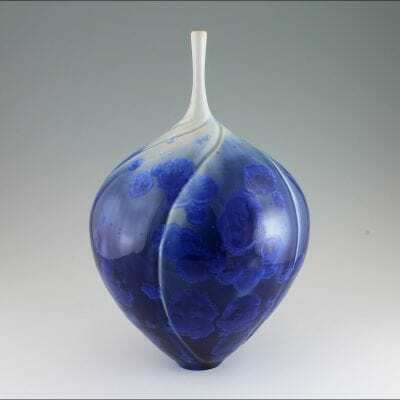 In the school display case, I saw my first crystalline glazed piece, and I was just floored by it – I wanted to learn how to do that more than anything. I was told: It’s a complicated process – too hard for you. Don’t bother trying. I took two semesters of ceramics in college, and then went on to do all of the things that good kids do – I got a degree in Biochemistry and Molecular Biology, and got a job as a research scientist. 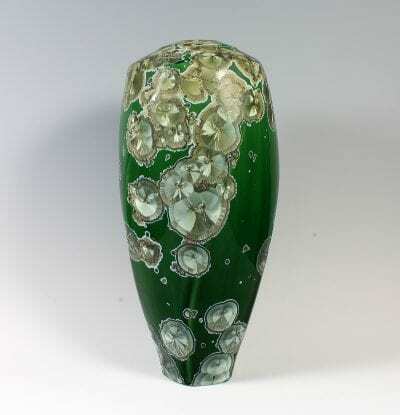 I missed the ceramics classes though, and I never forgot that lovely crystalline piece. With a bit of time on my hands I got back on the pottery wheel. It was wonderful, and I thought: Marie - you’re a chemist now – surely you can figure out those difficult and beautiful glazes. Well - it turned out that I was right! 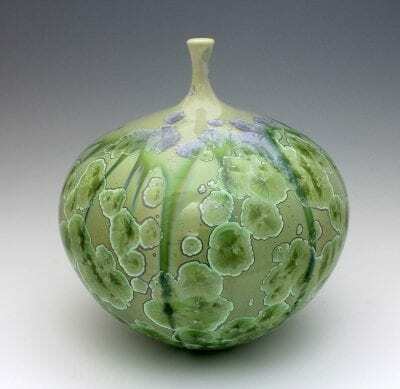 The process of making these pieces is far more difficult and the firing process is extremely finicky compared to “regular pottery.” And unfortunately, the failure rate is much higher when this is your chosen art form. But the failed pieces don’t bother me much. They seem like a small price to pay for the ability to make the pieces that I really love.